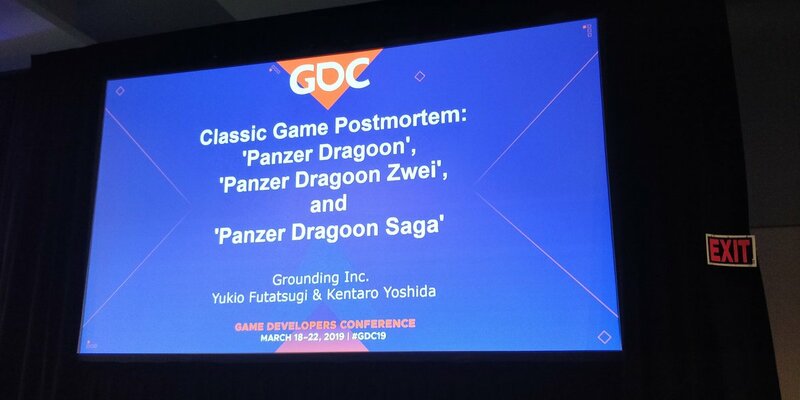 First off, if you weren’t at GDC last week, Yukio Futatsugi and Kentaro Yoshida did a “postmortem” on Panzer Dragoon. A series of tweets that covers a number of the slides from the presentation. Lastly, I Thought you’d like to see a couple newer Panzer Dragoon items I’ve acquired. Hopefully with the re-releases we’ll see a few more official Panzer products, too! ^ this is an imgur gallery, all pictures are in there. Item 1: Made by a company called Smiral and sold exclusively through a partnership with SEGA at Tsutaya. 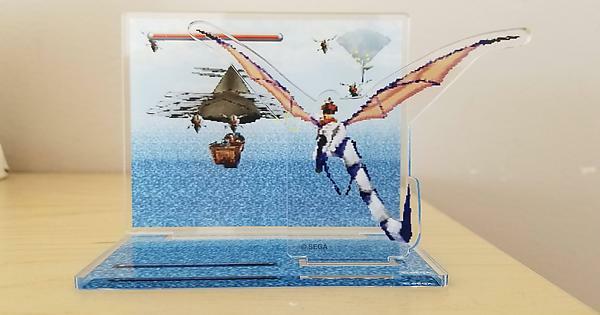 It’s an acrylic Panzer Dragoon diorama! 3 pictures: , front-on, angled with US penny for scale, and the packaging which some may find helpful to track down their own. Item 2: Picture 4 is a handmade Azel sculpt I’ve been trying to get my hands on for about 5 years now. The artist has a deviant art page that I don’t think has been updated in quite a long time and I even managed to track down their ebay account but they never replied. Then one day I saw it for sale so I snatched it up right away. It’s hand made, hand painted and although the artist claims it’s “one of a kind” I’m 100% positive there are at least 2 on the planet. There’s just no way to tell how many he’s made, really. Unfortunate the way the artist acts, but the art itself is quite nice. And item 3 is one I’ve been searching for a LONG time. Finally got my hands on a limited edition Orta Xbox! I cleaned it up a little bit after I took my picture, got rid of a lot of the scuff marks. My collection is nearly complete! Really interesting slides from GDC. 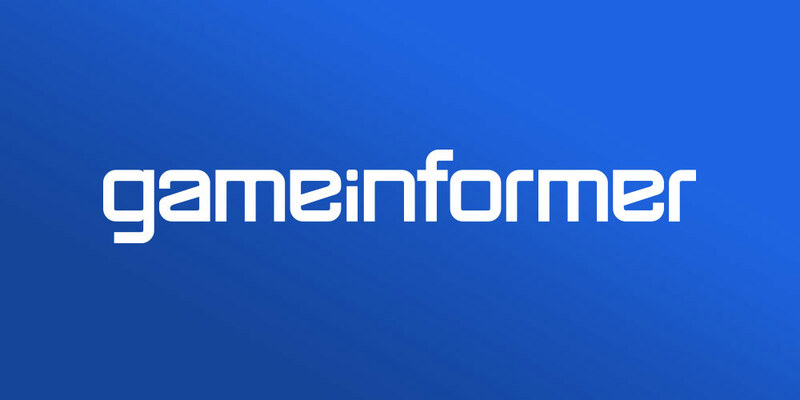 I imagine there’s a lot of new details we can find buried in this talk to pick up further information about the history of the games. I liked the part about Futatsugi being traumatised whenever he sees a PSX controller. I like your photos as well. It would be great to get these onto the site at some point (where there’s gaps in our collection). That acrylic Panzer Dragoon diorama…Is there anywhere else you can buy this? It’s so cool! Unfortunately pretty much all the information I have about the little acrylic guys is already posted. I know there was also a Space Harrier acrylic thing made, too. I’ve got that, too so I can snap a picture if you want. I’m glad the stuff I’ve posted here made it onto the front page at PDL, kinda bummed I wasn’t mentioned for gathering all the info. 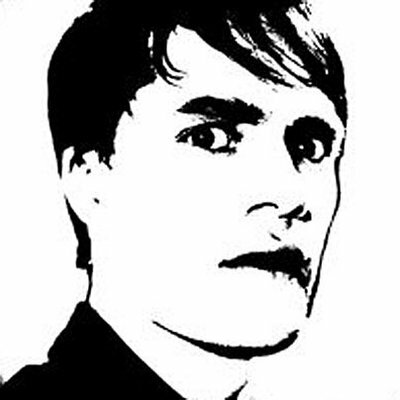 Normally we don’t credit for just sharing links, but full contributions, e.g. a full news entry or picture. The time consuming part for me is putting all this content into a comprehensive, well edited news entry, and I would certainly welcome any contributions to the site like the update I posted (which would of course be linked to the contributor’s profile). The video of the presentation is now online and FREE.